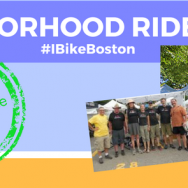 Join Rozzie Bikes on a ride through the Roslindale and Hyde Park neighborhoods of Boston on our part of this year’s Neighborhood Ride Series. We’ll bike through quiet neighborhoods and on few busier streets which mostly have bike lanes. We’ll leave Roslindale Square southward on a potential southern extension of the proposed Arboretum Gateway Trail, climbing Bellevue Hill on small streets, then entering the Stony Brook Watershed in Stony Brook Reservation, following that stream on a bikepath until it goes underground, then following the route of the conduit to Forest Hills. We’ll take a slight detour to see its major tributary, Canterbury Brook, where it still runs free.